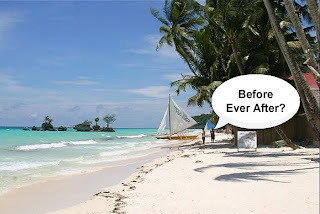 The EQualizer Post: "Before Ever After" Novel :Strong tourism pitch for Boracay! 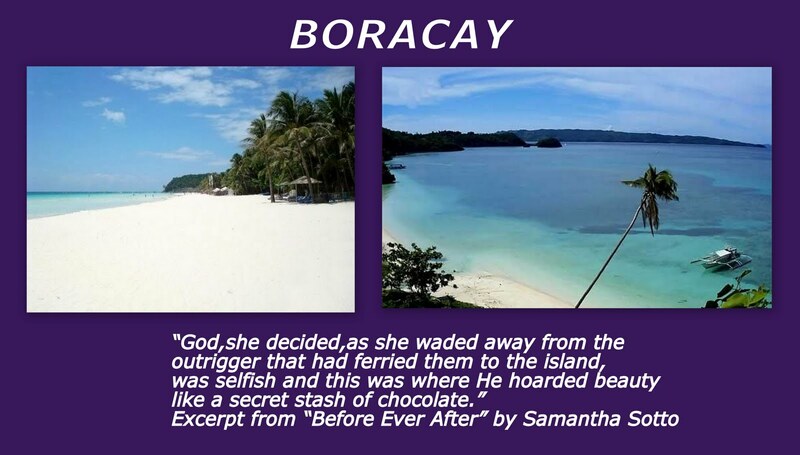 "Before Ever After" Novel :Strong tourism pitch for Boracay! I brought "Before Ever After" with me on vacation last week and found it an excellent way to pass the time on our long road trip. It's engrossing, intelligent, emotional, romantic, heart-warming, heart-breaking (in some spots), fantastical (as in, it's a fantasy), multi-dimensional, and just plain fun. 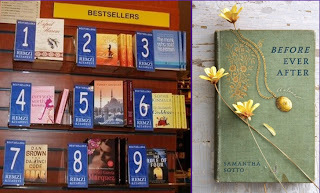 I kept wondering what inspired Samantha Sotto to write it and how she chose all the sub-plot story lines that weaved together to form the main plot. It's a complicated story and best read in a short time period so you don't start forgetting details. But I digress. The story quickly gets going when Max's doppelganger shows up at her doorstep, causing her to faint. He introduces himself as Paolo, a 32-year-old Italian whose grandfather, Nonno, was none other than her Max. He stuns her with the news that, while Nonno died ten years earlier, he is actually alive -- as Max. After she recovers and he shows her some convincing photographs, they embark on a journey together to a remote island in the Philippines to find him. 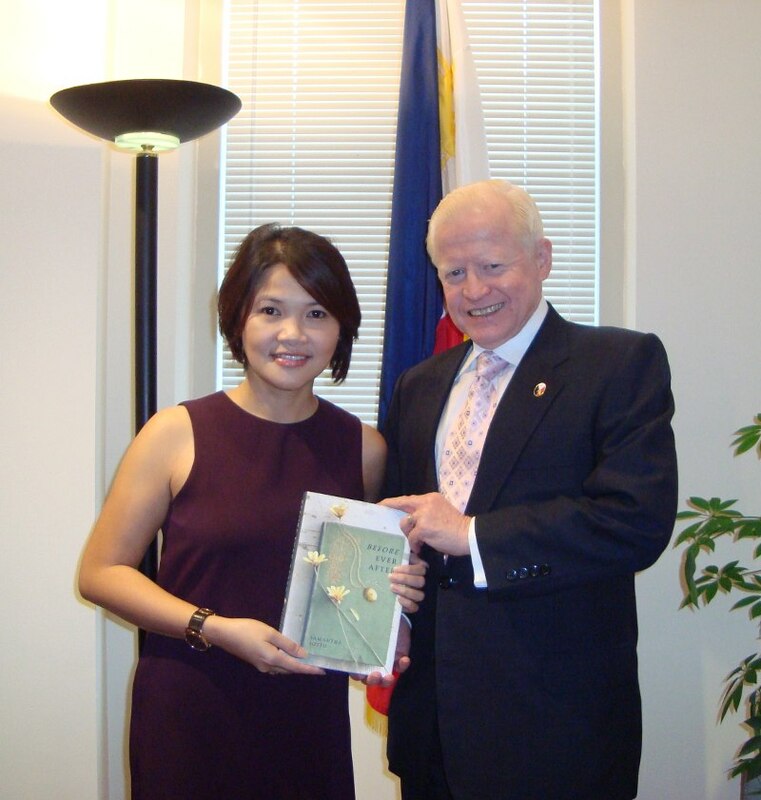 Along the way, she tells him about their European tour and the characters Max features in his historical anecdotes. We are also introduced to her fellow travelers: Brad and Simon, a young gay couple; Rose and Jonathan, an elderly but spirited couple on their honeymoon; and Dex, a Bostonian who irritates Shelly by repeatedly taking touristy pictures of her at every location, but who has a heartbreaking secret. As she shares the stories, she and Paolo realize the truth about Max, which is where the fantasy part comes in (I am going to be vague here because I hate spoilers!). 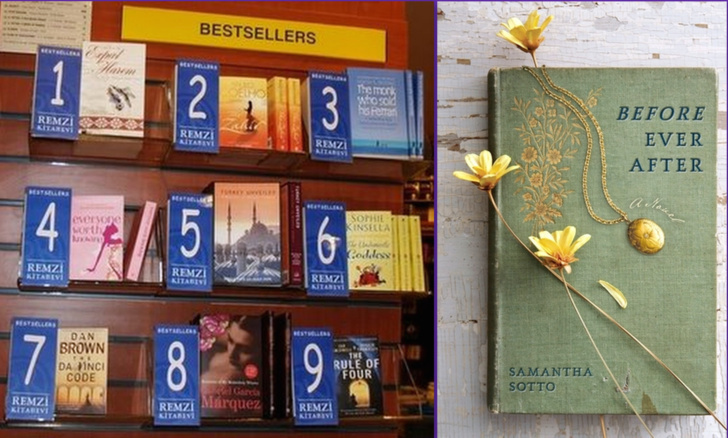 The historical vignettes are absorbing, based on actual historical events, and reveal an exceptional imagination on the part of Samantha Sotto. 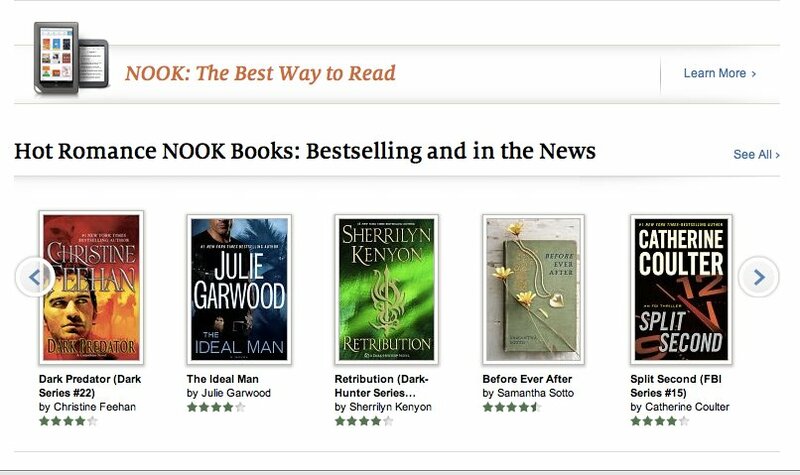 We meet Julien, a Frenchman who loses his daughter Isabelle to the French Revolution; Viktor, a Slovenian who avenges the kidnapping and near-death of his 6-year-old nephew in 958 A.D.; Aidan, a young monk wanting to know what it feels like to grow old in 1210 Austria; Uri, a young Swiss soldier grieving for his dead sons after returning from war in the 1500s, etc. The stories are told from both Max's narrative perspective as the tour leader as well as from the perspective of the men he is profiling. 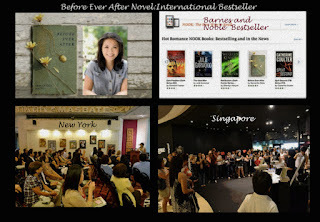 The reader is taken back and forth from current day to five years ago (during the tour), back to when the events happened. Sotto uses omniscient third person for Shelly and for the ancient events, and she is masterful at getting inside their heads and hearts and bringing them and their environments to life. This is a very intelligent, multi-layered book, but I found her writing style very fluid, making the detailed stories easy to digest. She gave her characters witty dialogue and took great care in developing most of them; Brad and Simon didn't feel quite as well developed. They were fun and offered some comic relief during the tour, but she didn't delve into their psyches and emotions to the same extent as other characters. Simon felt like a bit of an afterthought, whereas Brad's photo book devoted to Max and Simon (who died along with Max during a terrorist bombing at a train station in Spain) was raw and honest in its emotional expression. What made me love this book, though, was the underlying message that Max's stories and the characters' life experiences conveyed: no matter what your past or your future, LIVE in the present. Be fully present, embrace life, and find the joy in everyday experiences, as simple as having a cup of tea with the one you love, because you never know when the life you're living could suddenly be over. There is a running theme throughout the book that involves chickens and baked eggs. 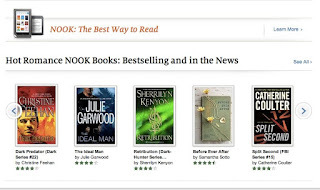 At least one other reviewer found this to be a lame attempt at a plot device to tie the individual stories together, but s/he completely missed the point: through the unadulterated appreciation of the simple things in life, you find meaning. The chickens and baked eggs are a symbol. And traditions such as baked eggs on Sundays transcend time and place, and in this story, they connect four characters in an important way that moves the story along and leads to a significant plot point. IMHO, this is a very creative and clever plot device whose meaning is revealed to those who let themselves get lost in the story to find its depth, rather than focusing on the specifics on the surface. If you give yourself up to all aspects of the story, just as Shelly gives herself up to Max's love so completely she can't do more than merely exist without it, you will find far greater satisfaction and meaning in this lovely novel than you would otherwise. 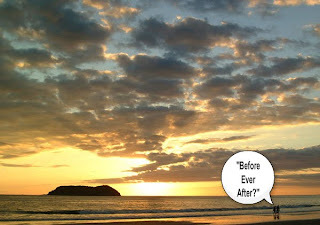 It started for me as a diversion from a long physical journey (i.e. my road trip) and took me on another, cathartic and life-affirming journey altogether...but I only got there because I didn't analyze every little thing as I read it. Analyzing it afterward has made it all the more poignant. On another note, it's fun to watch Max and Shelly fall in love, and nerve-wracking to wonder along with her what she is going to find when she gets to the Philippines. Will she find Max? What will she say if and when she does? What will he say?! I kept wondering all along how Sotto was going to wrap this up and I was very satisfied with the resolution. This is a wonderful first novel from a gifted writer. I will be sharing it with friends who I hope see it for what it truly is as well. I can see how some people wouldn't enjoy it, because it is quite fantastical, but Shelly's tortured love for her dead husband is brought home powerfully and with tenderness and care. I personally am not one who is keen on fantasy and rarely willingly suspend disbelief (I hate science fiction, in fact), but the depth of the emotions explored in this novel gripped me from the very beginning. 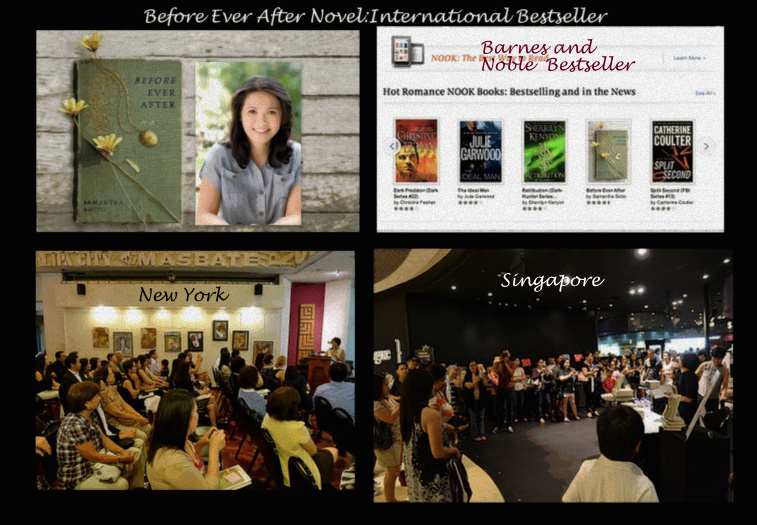 From International Bestseller To Hollywood Movie?